Located in tent in Simpatico Parking Lot adjacent to shop at 104 Railroad Ave just off Talbot St.
$35 per person per day,Children Free. Simpatico, Italy's Finest celebrates Columbus Day with the 9th Annual "Columbus WineFest at St. Michaels," featuring Italian Wine, Liquors, Food, Music & Games, on Saturday, October 13th 2018 from Noon to 5 PM. Christopher Columbus will be in attendance and will share tales of his exploration adventures as part of the festivities planned for adults and children of all ages! The event will be held rain or shine in the tented lot adjacent to Simpatico. Stop by and transport yourself to Italy! Ciao! 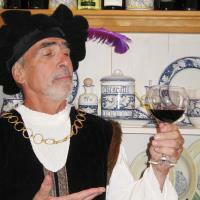 - Italian Wine Tastings (& a couple Spanish!) of over 70 wines, Limoncello, Italian Vodka & Gin, Prosecco, Bellinis, Amalfi Coast Liqueurs! - Italian Food Served & Tastings including Regional Artisan products from Tuscany, Abruzzo & Umbria & our ever-popular Cipriani Pasta, Jams, Antipasti from Marches region, Pates, Pestos, Truffle products, Olive Oils from 5 regions & Aged and Flavored Balsamics. Also serving our Antipasti, Chicken Pesto, Caponata, Pasta & Wild Boar Sauce, Orange Olive Oil Cake & more! - Wonderful Artisan Cheese Tastings of Cow, Sheep & Goat cheeses directly flown in from Italy every 2 weeks. Take some home to pair with your wine! - Live Italian Music - come listen to your favorite Italian songs!! - Italian Trivia & Bocce Ball - Answer all the questions and you win a bottle of wine! - Meet Columbus and hear about his adventures in exploration, and have your picture taken with him! - Special pricing promotions for the wide range of wines will be offered, discounts on wine-related ceramic items and other items in the shop. - Local Restaurants will feature an Italian Entree and Wines on Saturday night to continue the celebration. - Local Shops are offering special offers for attendees with their wrist bands. 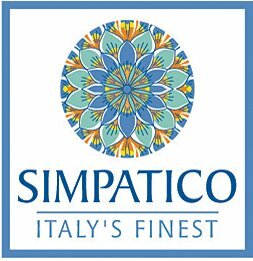 Simpatico is excited to continue this event for the community; Bobbi Parlett, owner of Simpatico, comments "Everyone has such a good time at this fun annual event, it is like being in a piazza in Italy for the afternoon, and combines so many things we love ? food, wine, art, history, music, games for all ages, and fun." Bobbi adds "Italian artisans instill a "heart and soul" in their products, in everything Made in Italy, from wine to food to ceramics, particularly those intended for hospitality with friends and family. Come out and enjoy! Simpatico is a locally-owned, independent retailer and wholesaler specializing in exclusively Made in Italy items: a fabulous selection of Italian wines plus ceramics, food, home furnishings, kitchen linens, accessories, ornaments, Murano Glass jewelry & Glasses, Florentine furniture and home accessories, wall art and more. Simpatico store hours are Monday through Thursday 10 AM to 5 PM, Saturday from 10 AM to 7 PM and Sundays 10 AM to 6 PM. For more event details, and to purchase tickets, go to Events on our website, or call 410-745-0345.